GE’s HIR Plus lamp is the most energy efficient PAR 38 in the marketplace as measured by lumens per watt. 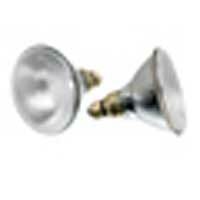 Lamps are available in 45–, 48–, 54–, 60–, 67– and 83–watt spots and floods. Standard PAR 38 are designed to deliver as much as a 54 percent reduction in energy costs. The company’s silver–coated reflector technology and improved thin–film HIR filament tube design, and combine to allow the 48–watt HIR Plus lamp to deliver up to 44 percent more lumens per watt than standard 75–watt halogen lamps, while producing comparable light output.